The findings of this study, published in Gender in Management(2018), could pave the way for policy-makers to view equity through a different lens. To read the article in Gender in Management, go to the website. To learn more about Singh, visit his faculty profilepage. To read more about the gender wage gap in Canada, visit the Canadian Women’s Foundation website. 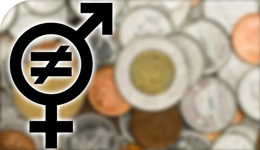 To read the UN Human Rights document on the wage gap in Canada, visit the website.